Mrs. Martha Mae Baldwin Alston, 93 of 3159 Bragg Trail passed away in her home on January 15, 2019. She was the daughter of Floyd D. Baldwin and Mable Baldwin Baldwin and the wife of Joe Davis Alston, all deceased. 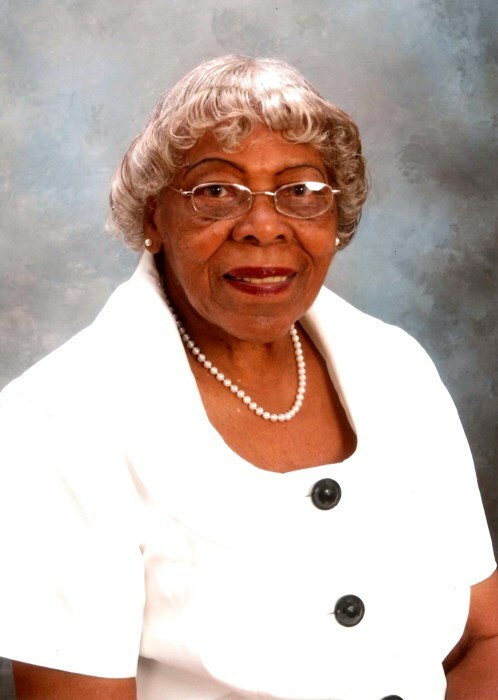 She was a dedicated member of Terrell’s Chapel African Methodist Episcopal Zion Church where she served as a Deaconess, Missionary, member of the Lay Council and the Queen of Terrell’s Chapel AMEZ Church. She is survived by her 7 children: Bonnie Baldwin, Leatrice Alston, Roy Alston, Davis J. Alston (Brenda), Glenda McNeill, Martha A. Carr (Anthony) and Mary Waterman; 16 grandchildren: 19 greatgrandchildren; 1 great-great grandchild; two sisters: Nellie Horton and Willie B. Nickerson. She was preceded in death by: three sons: Ricky Alston, Bobby Alston and Earl Alston; and six siblings: John Albert Baldwin, Coy Baldwin, Cletus Baldwin, Bernice Baldwin, Lillian Ruth Nickerson and Ava Nickerson.